Boston Harbor [Re]creation creates platforms for artists to interpret the unique elements that comprise Boston Harbor, so that artists, in turn, may engage new audiences through creating place-based artwork that offers innovative educational and recreational opportunities for the public. We are excited to announce the release of the 2019 Requests for Proposals (RFP) for Artists in Residence on the Harborwalk and on the Islands! Click below for the full RFPs. The RFP process for 2019 has closed. UPDATE: Beacon has migrated to the Charlestown Navy Yard where it will be on view until Friday November 16th. Beacon, a 20’ tall bamboo sculpture by The Myth Makers, Donna Dodson & Andy Moerlein will be a monumental bamboo sculpture inspired by the Osprey as a tribute to Rachel Carson and her ecological restoration efforts in Boston and beyond. The Myth Makers public artwork will initiate the first project of the new Harborwalk Artist in Residence (AIR) program. The Myth Makers highlight the Osprey as a survivor and adapter in our rapidly evolving human landscape. Devastated by DDT poisoning, these skilled fish hawks are recovering from the brink of extinction, and are an inspiring example of the role humans can play in restoring balance when we engage the living world around us. The Harborwalk is a great vantage point to study these rugged birds in the Boston Harbor. The sculpture will be installed at Head Island, also known as the Sugar Bowl, at the far end of the loop around Pleasure Bay. 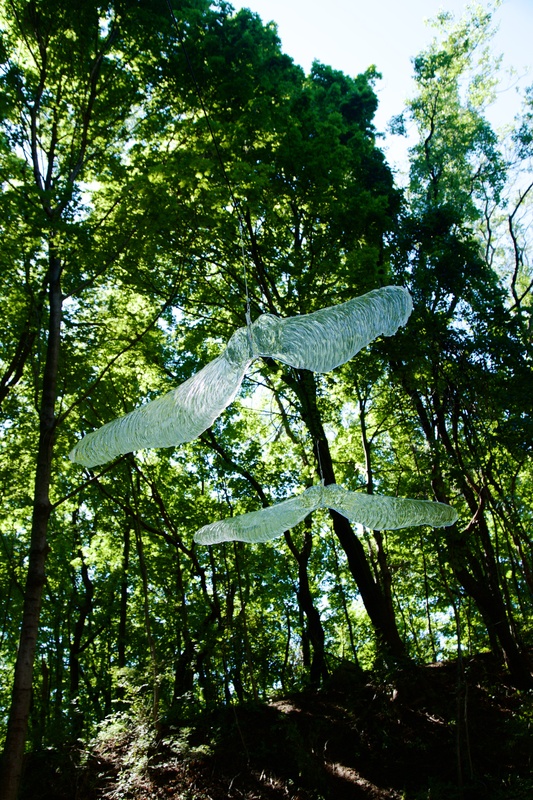 The artists will lead a processional celebration to install the sculpture on Sunday July 1st from 9:30AM - 11:30AM. This exciting parade is open to all ages. The artists will be present and after installation, there will be a brief dedication. The Myth Makers will discuss the legacy of Rachel Carson and citizen scientists worldwide who have contributed to science through personal observations and documentation. Meet at the entrance to the path to Head Island near the intersection of Farragut Road and William J Day Boulevard in South Boston at 9:30. The sculpture will be on view at this location until Friday Sept 7th. In the late summer the Beacon will migrate to the Charlestown Navy Yard where it will be on view until Friday November 16th. The artists will host an Open Studios workshop on Saturday August 4th from 2p-4:30p at Head Island. In the Harbor, Freedom Sings will be created by Artist Kera M. Washington who will metaphorically trace the footprints of African and Native (Indigenous) Americans who walked on and in the Boston Harbor Islands. Washington will compose songs and rhythms inspired by music that was written by early activists and abolitionists during and/or about pre-Emancipation Boston-based struggles for freedom. Through percussion workshops and public performances on George’s Island, Washington will explore the messages in this music that are relevant today, and share this (new) music and creation with visitors of the islands. This music and its messages of inspiration will speak to the continuing struggles for liberty that African and Native (Indigenous) Americans still experience today. The Open Studios for this project will be on George’s Island on Sunday August 19, 2-4:30. In Shore Line Recall, the public are invited to join artist Freedom Baird in recording their experiences of the Boston Harbor Islands’ lowest-lying areas which are in danger of vanishing with rise in sea-level caused by climate change. For each day of the residency, Baird will visit the most vulnerable areas of each island and set up The Human Nature Field Desk, a portable, weather-resistant desk where participants will create 2-D visual art and text to capture their impressions. These records will be bound into an archival volume which will serve as a document of future places long-gone. The public is invited to participate in the project and contribute to the art being created during each day of her residency: Sun Aug 19 (12:30-4:30pm): George's Island Tues Aug 21 (noon-3pm): Peddocks Island Weds Aug 22 (11am-3pm): Lovells Island Thurs Aug 23 (10am-2pm): Spectacle Island Fri Aug 24 (9:30am-12:30pm): Bumpkin Island, (1:30-5:30): Grape Island Visit http://freedombaird.org/human-nature/shore-line-recall/ for more info on specific locations to find her pop-ups. Artists have been selected through a juried process. Luis Edgardo Cotto’s background in arts administration spans more than 20 years, working in Hartford, Seattle and Washington, D.C., and he currently sits on the advisory board of the Cambridge Arts Council. Prior to joining the MCC, was Executive Director of Egleston Square Main Street (ESMS), located on the border of Jamaica Plain and Roxbury from 2014-2018. Luis is originally from Hartford, CT where he served on the Hartford City Council from 2008 until 2012. As a City Councilor, Luis was known as a champion for the Parks, Arts and Immigrant rights while also serving as primary care provider for his newborn son. From 2004 to 2007, Luis and his sisters ran a Spanish language coffeehouse and bookstore named La Paloma Sabanera, bringing Ray Oldenburg’s third place concept to life. Lucas Cowan became The Rose Kennedy Greenway Conservancy’s first Public Art Curator in 2014. Previously, he directed the Public Art Program for the Maryland State Arts Council, where he spearheaded the passage of legislation requiring all state-funded capital project to include public art in their construction, and was the Senior Curator of Exhibits for Millennium Park and the Chicago Office of Tourism and Culture in Chicago, IL. He has curated and managed dozens of public art commissions and exhibitions of work by artists such as: Mark di Suvero, Jun Kaneko, Thomas Sayre, Shinique Smith, Sui Jianguo and Mehdi Ghadyanloo. Cowan has served on juries and panels across the United States, and has consulted on cultural park planning for cities such as San Francisco and Chicago. In 2016, Cowan was elected to the Americans for the Arts Public Art Network Council and previously served on the board of trustees for the International Sculpture Center. Cowan is a founding member of the Advisory Council for Cold Hollow Sculpture Park in Vermont, Madison Square Park Public Art Consortium, NY, Dean's Community Advisory Council at Lesley Art+Design, Cambridge MA, and the Punto Urban Arts Museum Advisory Board in Salem, Mass. Cowan attended the Maryland Institute College of Art where he studied Fiber and Material Studies and The School of the Art Institute of Chicago's Master Program in Arts Administration. Celena Illuzzi has worked with the National Park Service (NPS) for eighteen years and is currently the Youth Employment and Development Specialist for the National Parks of Boston. She enjoys learning about the significant natural and cultural resources of the NPS, and finds great delight in connecting young people with these amazing resources. She appreciates the opportunity to work for an agency that values both stewardship and education. In college, Celena studied art and biology, and upon graduation, accepted a position teaching art at a middle school. She returned to graduate school in 1999 and earned a Master’s Degree in Museum Education from Tufts University. It was during her time in graduate school that Celena learned about becoming an educator with the NPS. Lewenberg has worked for many years with the Boston Harbor Islands National and State Park using art as a point of departure for visitor engagement. 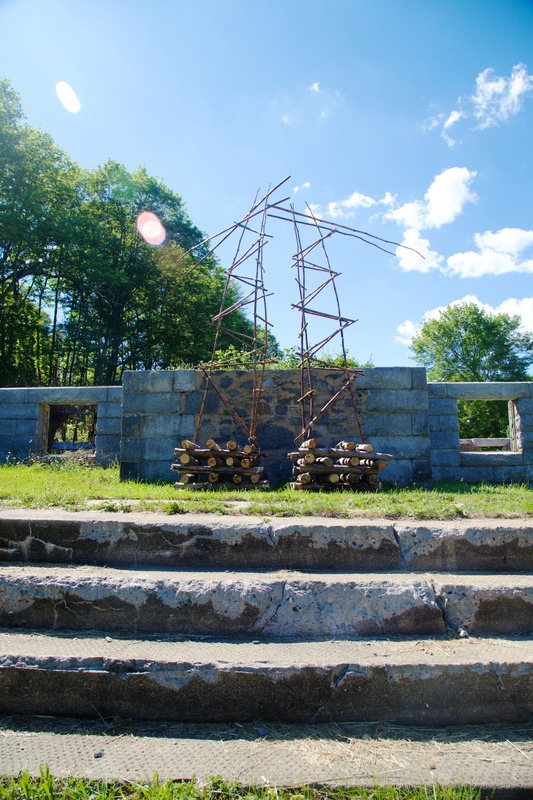 These initiatives include a summer on Bumpkin Island creating sculptural installation; organizing and co-curating the Bumpkin Island Art Encampment from 2007 to 2011; and developing the Boston Harbor Artist in Residency program. Lewenberg just completed an 18 month Artist in Residency position at the Metropolitan Area Planning Council, where she worked with a variety of regional planners and municipalities on creative projects that built inclusivity in planning efforts, increased appreciation of the natural world, and engaged residents in downtown revitalization efforts. Her artwork has been shown at locations including Medicine Wheel Gallery, the Jewish Community Center, Harbor Arts, and the Charlestown Navy Yard and long term installations are currently at the Boston Children’s Museum and Franklin Park Zoo. Denise is a long time employee of DCR and has been fortunate to have spent all her service on the Boston Harbor Islands. Before her employment with DCR she alternately lived aboard a vessel and was a resident of Peddocks Island where she became more familiar and devoted to the harbor community. At that time she worked on a lobster boat and commuted to her other job as a Medical Technician. The islands worked their magic and beckoned her to apply with DCR for a summer position with the Operations crew. 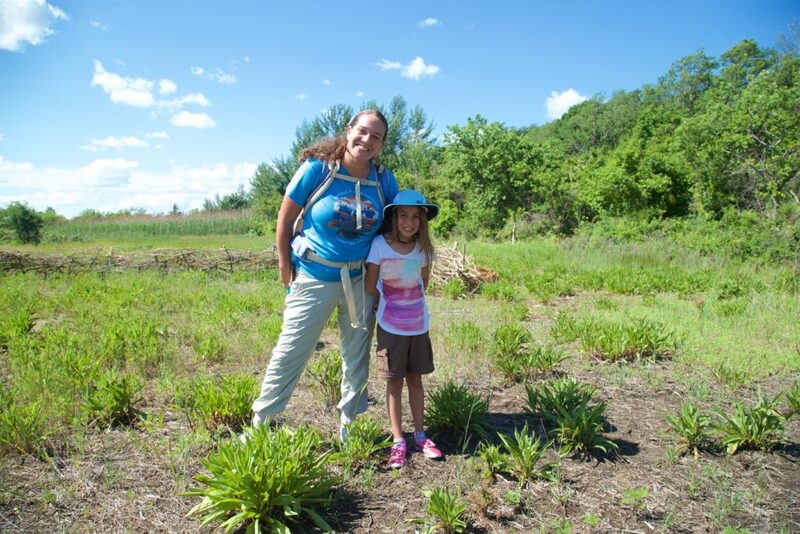 Through the years DCR has given her outstanding opportunities learn new skills to care for the islands, create meaningful relationships on the harbor and inspire even the youngest island visitor to return again and again. Denise absolutely loves her job and calls the harbor-Home. Courtney is an urban planner who focuses on advancing equitable access to resources in communities. Prior to becoming the Director of Planning for the Mayor’s Office of Arts and Culture, she served as a Senior Planner at the Boston Planning and Development Agency. An alumna of both Peace Corps and AmeriCorps, before joining the City of Boston she also co-chaired the inaugural Black in Design Conference and worked as both an Innovation Fellow and Innovation Field Lab Coordinator for the Harvard Kennedy School Ash Center for Democratic Governance and Innovation. Courtney holds a BA from Northwestern University and received her Master in Urban Planning from the Harvard University Graduate School of Design. In this role, Rebecca is responsible for all programming, youth engagement, education, free access and activation for the Boston Harbor Islands National and State Park, and waterfront programming and harbor access. Prior to Boston Harbor Now, she worked at Smithsonian Center for Folklife and Cultural Heritage as a production manager of the Smithsonian Folklife Festival and special events manager. Rebecca received her bachelor's degree in Anthropology and Art History at Brandeis University. She enjoys traveling, hiking, exploring and spending time with her family. Kera M. Washington is an applied ethnomusicologist and the founder of Zili, (www.zilimisik.com), an all female world music ensemble that retraces routes of forced exile and cultural resistance through diasporic rhythm and song: roots music of the African Diaspora, or "New World Soul." Washington is on faculty in the Music Department of Wellesley College, MA, is a Music Teacher at the Mather Elementary School in Dorchester, MA, and is completing a dissertation on Haitian folkloric music, about folkloric arts and identity expressed through the music of Emerante de Pradines Morse. Kera Washington has been performing and teaching music, using Boston as her base, for over two decades. Washington is a multiple instrumentalist, a performer of hand percussion, african harps and "thumb pianos" (she is a beginning player of adungu, ngoni, mbira and akogo), of voice and vocal percussion, of flutes, and of piano. She has studied with master musicians from Haiti, Uganda, Zimbabwe, Ghana, Brazil, and the United States, and has traveled to Haiti, Brazil, Cuba, Sierra Leone, Palestine, Cape Verde, and VietNam to advance her studies. 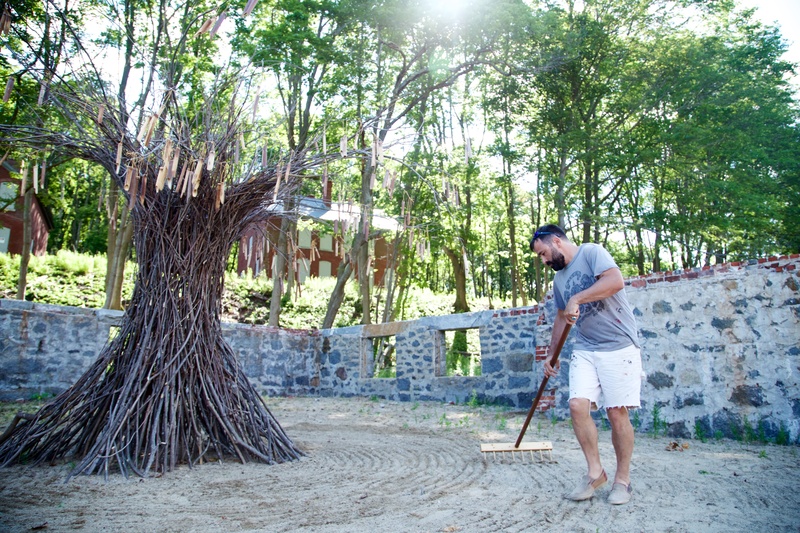 Washington was a 2018 Boston Harbor Islands Artist in Residence. Visit http://www.kerawashington.com/ for more. Cynthia Woo is the Director of the Pao Arts Center at the Boston Chinatown Neighborhood Center (BCNC). The Pao Arts Center opened as a partnership between BCNC and Bunker Hill Community College in May 2017 as Chinatown’s first arts, cultural,education center. Woo started her work in the arts and culture sector as part of the staff that opened the Chinese American Museum in Los Angeles in 2003. Fueled by a commitment to strengthen the connection of arts to the community, Woo earned her Masters of Arts in Art History and Museum Studies certificate from Tufts University. Over the past ten years, Woo has worked as the director of programs and special events at LynnArts, Inc., and as the director of community relations at the Boston Center for the Arts (BCA). Woo also served an adjunct educator at the Museum of Fine Arts, as the Community Arts Initiative Liaison. With many of our communities located within a short distance from Boston Harbor, Boston Harbor Now, through funding from The Boston Foundation, the Boston Cultural Council, Reynders McVeigh Capital Management and Fresh Pond Capital wishes to introduce (or re-introduce) communities to the enjoyment of Boston Harbor so we can all take advantage of this great resource. 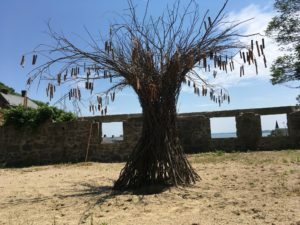 The summer of 2017 featured an Artist in Residence program based on Spectacle Island, and a temporary sculpture exhibition on Peddocks Island. Artwork creatively interfaced with the natural environment and activated culture, and history of the Boston Harbor Islands. Field Recordings made 8/2/17- 8/10/17 by Edwards on Spectacle Island were recorded with an H4n Zoom mobile recording device. All files are raw and unedited. 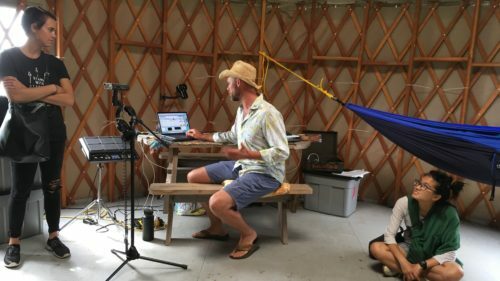 Edwards “created tracks” with all sounds sourced, created, written and mixed on Spectacle Island, in the yurt. 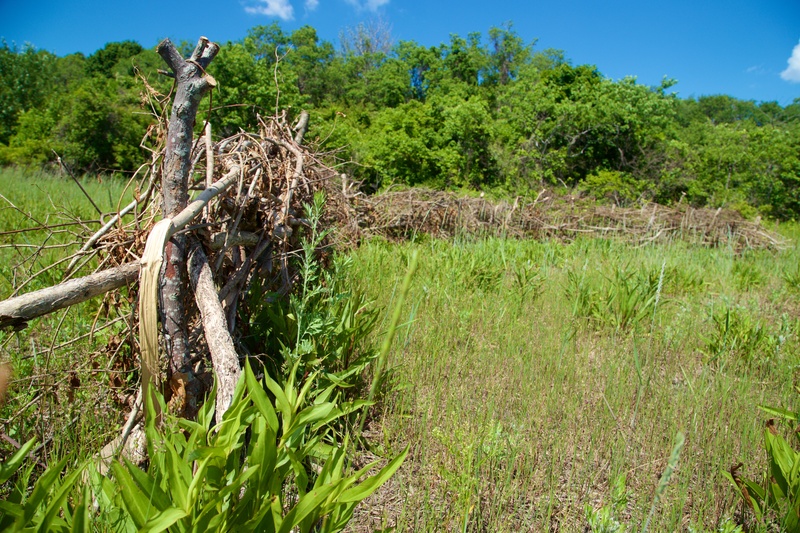 Peddock’s Island is a platform for artists to investigate, expand, and challenge the creative potential of landscape management through sculptural installation made primarily of invasive plant species harvested on the island. Kerri Schmidt is a Boston-based multimedia artist and educator. She seeks to create points of entry into her art that engage and invite interaction and develop new ways of seeing and knowing. Her nature-based experiences and a profound pleasure for small moments encountered during daily life are deeply rooted in her artwork and reflect the conversations she creates with the world. 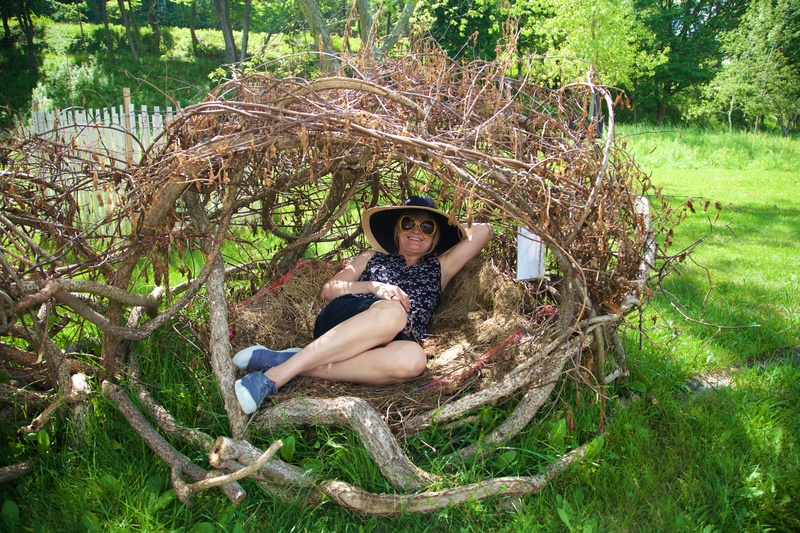 http://www.bostonharbornow.org/wp-content/uploads/2017/06/KerriSchmidt_AudioRecording.m4a “Two-Family Cottage” is be a human scale duplex bird's nest made out of oriental bittersweet vines, maple saplings, and soft nesting materials (grass, yarn, fiber, flowers, string).